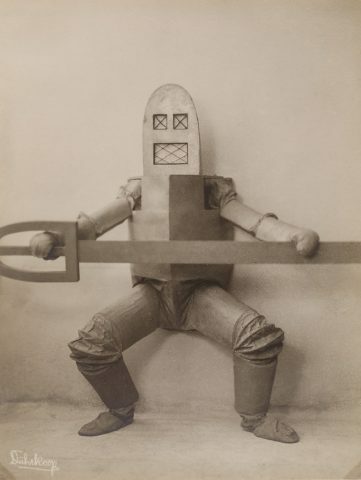 Avant-Garde 1920s Costumes Reemerge #ArtTuesday « Adafruit Industries – Makers, hackers, artists, designers and engineers! 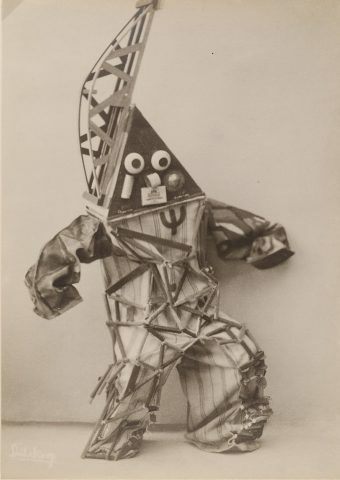 In 1920s Hamburg, a dancer couple created wild, Expressionist costumes that looked like retro robots and Bauhaus knights. The dancers were Lavinia Schulz and Walter Holdt, and through the new Museum für Kunst und Gewerbe Hamburg (MKG) online collection, their tragic, forgotten story can be rediscovered. Eventually MKG hopes to have its entire collection searchable online with high-resolution images, and open-use where possible. 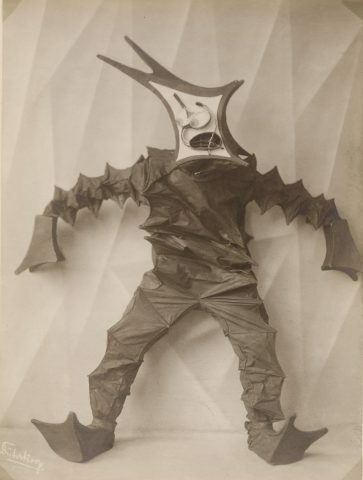 In addition to Diez-Dührkoop’s photographs of the dancers, the German museum holds the costumes themselves. They were acquired after the couple’s death in 1924, the very year the images were shot, and not rediscovered in their boxes until the 1980s.